Our new Puppy and an Instagram Round Robin Giveaway! Hello, I am finally back! Phew. 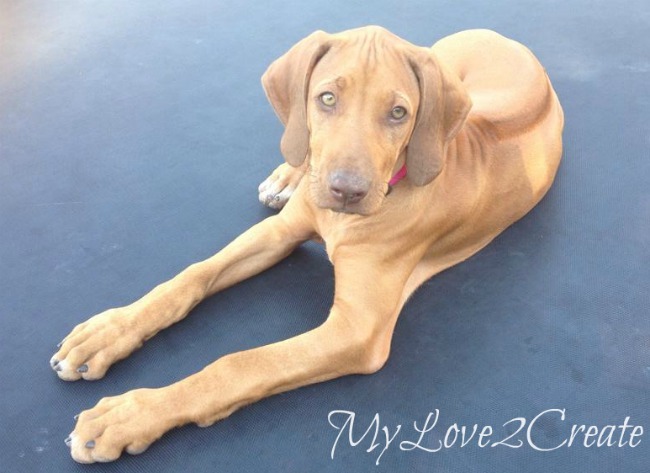 A very cute and smart Rhodesian Ridgeback Puppy. She is only three months old and weighs 30 lbs, yes, she will be BIG! Sunny is very loved in our family. My favorite part? She was basically house trained when we got her...that is a huge score! 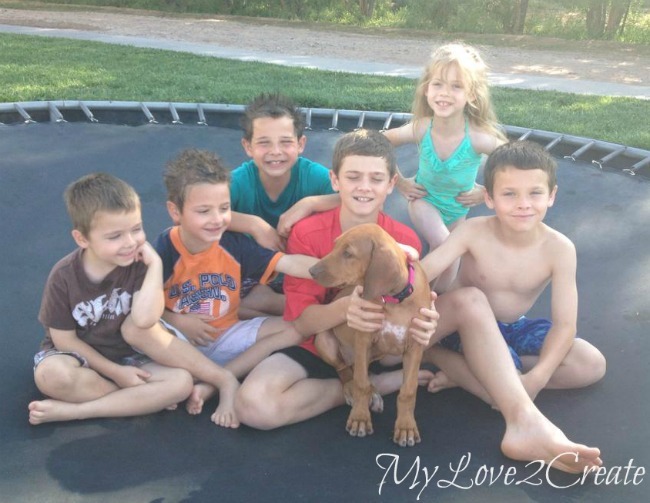 The kids love playing with her, and she loves having lots of kids to play with. We are constantly distracting her from chewing on things that aren't her toys, but overall it has been better than I thought. I am not sure how it will go when my kids return to school because she loves to play...all the time! Isn't she sweet?! We are an active family, and we love hiking and running so Sunny is the perfect dog for us. Let me tell you it was a challenge! We started at the bottom and did the Incline, which is basically railroad tie stairs straight up the mountain for .9 miles and 2,000 vertical feet, I have never been so out of breath! The top photo is us at the top of the Incline. Then we hiked the rest of the way to the peak, around 10 miles. It took us just under 6 hours with a 30 minute "oops, we took the wrong trail" mishap. In the bottom left photo above, with my second son and brother-in law you can see the peak we hiked to in the background...yes, it was VERY far away and that was about an hour into the hike already! The bottom middle photo is us at the top, and the bottom right is our "we are dead tired" shot taken in the gift shop on top of Pike's Peak. I was SO proud of my boys they really did an amazing job! So, now that you are caught up on why I have been MIA for a while, I have some exciting news! I am doing my first Giveaway, and I would love for all of you to participate! 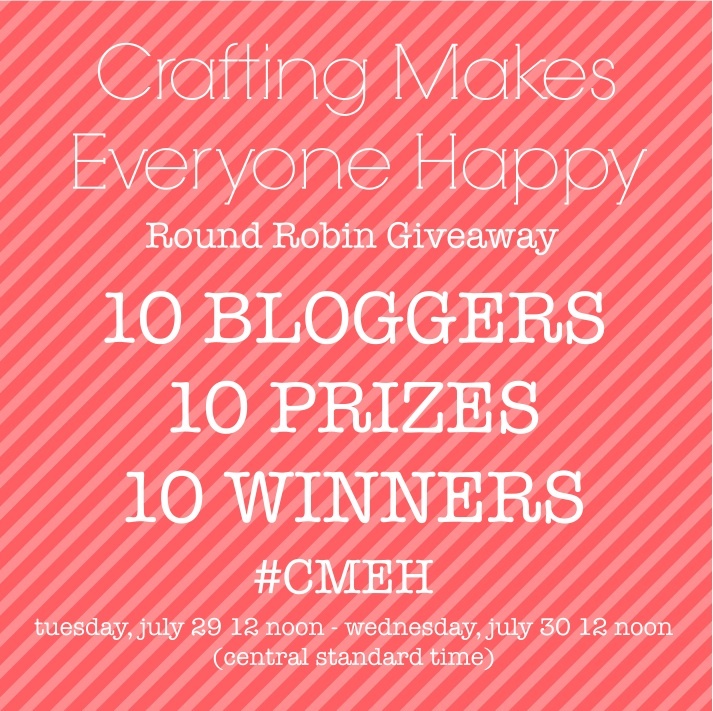 We are having a Round Robin Giveaway I have teamed up with 9 other awesome bloggers to give you 10 opportunities to win 10 different craft prizes! My prize is a $25 gift card to Home Depot, one of my favorite places to shop! Who wouldn't want $25 to Home Depot? To enter follow the steps below, and good luck! 1- This is an Instagram Giveaway so in order to participate you need to follow me on Instagram! 2- After following, comment on the image above, in instagram, and tell me what you would like to buy at Home Depot, make sure to use #CMEH and #CMEHmylove2create in your comment! 3- Then tap on the photo and it will show you where to go next! You will be led to the other 9 bloggers to follow and for a chance to win up to 10 times! The giveaway runs from Tuesday July 29th at noon to Wednesday July 30th noon (Central Standard Time) So hurry, you don't want to miss out on all the great prizes! Winners will be announced Wed. night. 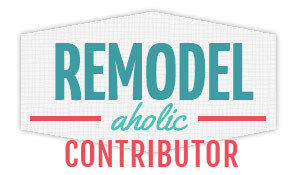 Hi there- i'm a new follower and love your crafty projects. That puppy is just too precious! 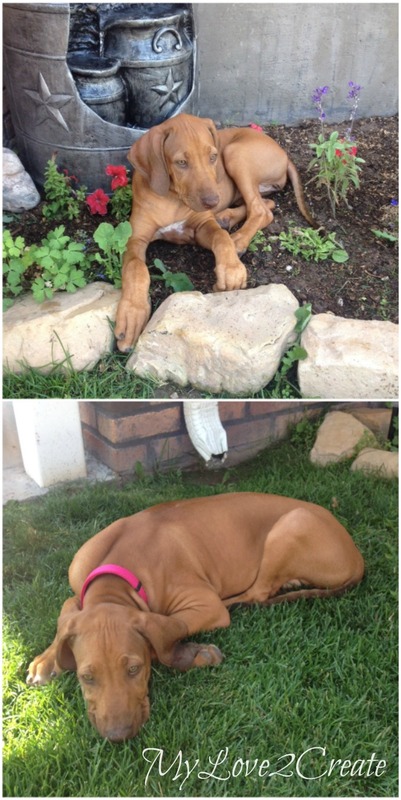 I have some friends that lived in Kansas and only ever had Rhodesian ridgebacks. I love Sunny!!! 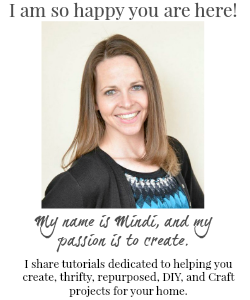 She is so adorable Mindi! And I can tell that she is so loved already by your cute kiddos! Such wonderful shots of your family and I am so glad you had an outstanding trip! Now for the giveaway I am not on Instagram but if I was I would so link up!! Happy week to you!! Nicole xoxo congrats again on your new addition! I LOVE dogs!! She is so cute. Sunny is so cute and lucky to have such a loving family! 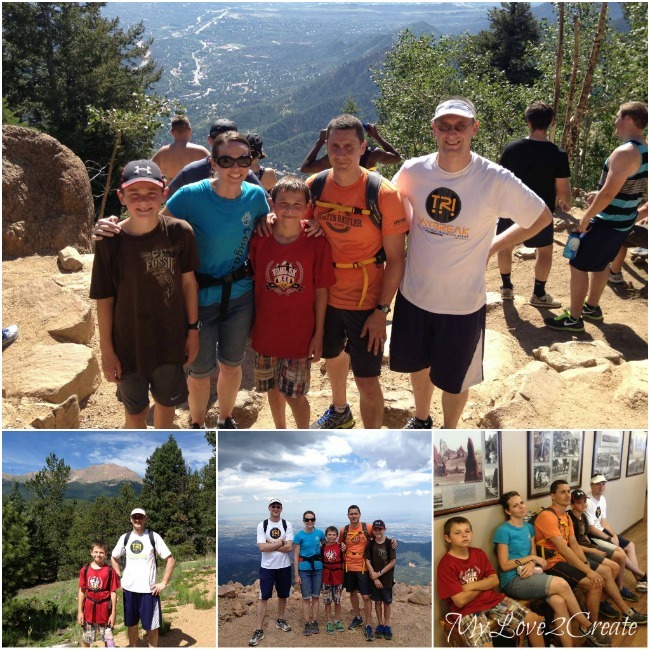 Great pictures, We too, love hiking, is always fun to see the changing scenery as we walk.